1. A family is everything! Always think about it! Be happy and grateful for your family. Don't forget to show (and tell) them how much you love them. Everyone come and go but the family is one that sticks together, always. Remember that! 2. It's never too late to start chasing your dreams. In 2017 I decided to quit University Of Law and to apply to Faculty Of Contemporary Art for Graphic Design. I couldn't see myself as a lawyer or be doing anything that got to do with the law. I was so happy when I finally decided to quit and to do something that I actually love. Right now I'm in the process of preparing for entrance exam which is in April, I will keep you up to date with it! I felt a big relief when I finally decided to do it. At first, I was afraid of what my family, boyfriend, and friends would say and when I said them they gave me nothing but support. I was soo surprised and happy. I feel so blessed. I published the news onn my Instagram stories and I never in my life got so many beautiful messages of support and greetings. Thank you, guys!! You are really the best! 3. In 2017 I learned to be grateful. It's very important to be aware what gratefulness means and how important it is. In this digital era, we take so many things for granted. We are so blessed to have a home to live in, food to eat and clothes to wear. Be grateful for everything you have, for your family, friends, boyfriend/girlfriend and all material things. In order to have more, we need to be truly grateful for everything we have. Go to bed with the grateful heart and wake up with it. Try it! 4. I learned that there's no time to be in a bad mood, share positivity, be kind and laugh, a lot!! I'm not happy to say this, but I was a person who used to be pessimistic. Thank God I have a mom who is endlessly positive, so she did manage to get rid of my bad views. So I always knew I shouldn't be in the bad mood and I shouldn't have a bad attitude towards things. That was something I learned. But, I think that in the past year I realized that I shouldn't pitty myself and I shouldn't put myself in a bad mood when there's no reason for it. I started to pay more attention to my thoughts and it really changed my attitude towards life, things, and relationships so much! 5. You should always work on yourself. I think that this work is never done. Every day you learn something new about yourself and you should be in a good relationship with yourself. You know what they say, when you are good with yourself you are good with everybody. You should know to control your emotions, to face your fears, to workout, to study. It's an endless process and 2017 was an eye-opening for me! Please let me know in the comments what you learned in 2017 and what are your goals for 2018? It sounds like you learned some really great things in 2017. I hope your 2018 is just as inspiring and pushes you forward in your pursuit of the best life. I love the outfit pictured, by the way! I enjoyed reading this kind of post too, reflecting the things happened ladt year. You seemed to have learned and realize good things in life,I wish you a better year of 2018! 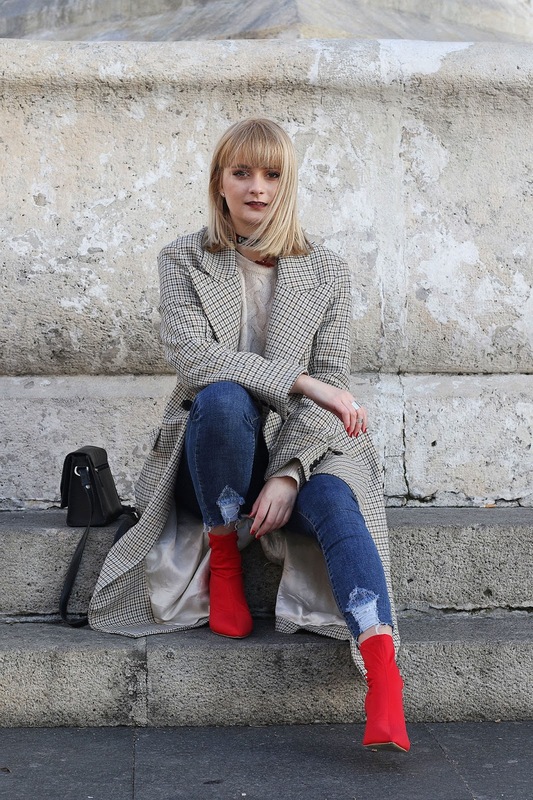 Amazing post as always, I love the outfit and the red shoes really give a lovely pop of colour! I agree with you on the family front, I very often think about how lucky I am for the family I have around me. All the points you've mentioned are so true. I can definitely relate to the exact same things learnt in 2017, and I can't wait to see what 2018 is going to bring !! Your outfit is so adorable in this post, I love the vibrant red boots you have on. I love everything you learned in 2017. I definitely agree that family is everything. In 2017 I learned that time should never be taken for granted. Great list of learnings! Yiu are so right! We have to be work in progress with continuos improvements. Those are some great lists of learning. Family is everything, so that's why we need to have a quality time for them and make some good bonding memories. and being grateful for everything is so important.